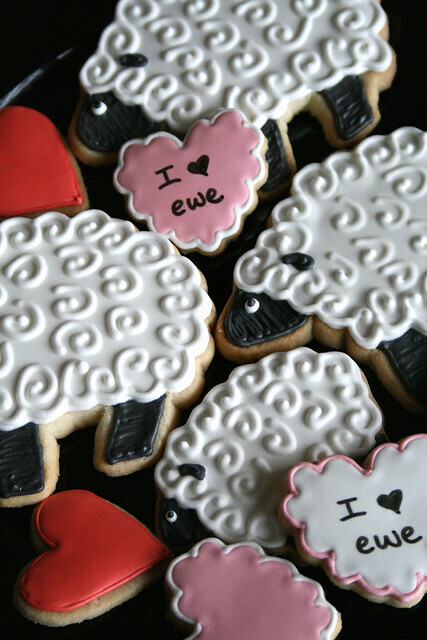 Never-On-Time Series: I <3 Ewe. I made this set as part of the Valentine’s Day collection that I decorated this year, and also as a special gift for my friend Stephanie – another recipient in the “Pay It Forward 2011″ meme from my Facebook. 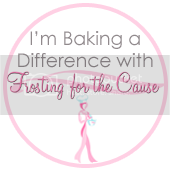 Out of all the cookies I mailed away last week, I think these might be my very favorite! 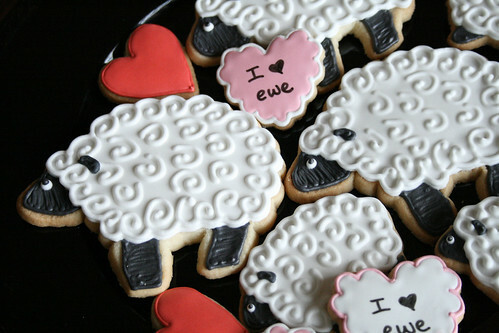 Those sheepers just melt my ♥! I picked a bad time to mail these sweet cookies, though. Since there were to be a surprise, I didn’t check that my recipient would be home for their arrival. 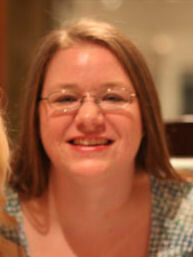 By my best guess, Stephanie’s cookies arrived in Texas in Saturday’s mail… but she left on Friday for a mini-vacation! I sure hope someone was checking her mail for her this weekend! 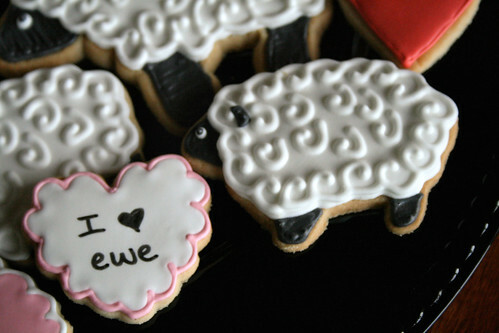 This Big Sheeper would be sad to sit outside alllll weekend! And speaking of sheepers, I’ll have to show you (kinda) how I made the big guys. 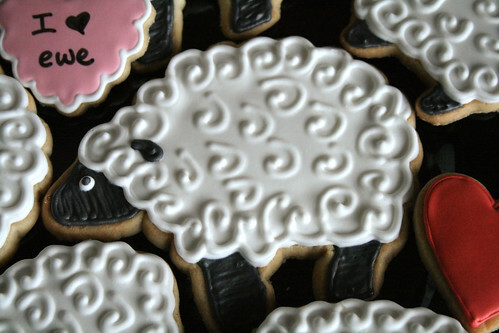 See, I had the idea for this collection about a month prior, and I planned ahead, ordering a sheep cookie cutter in plenty of time. When it arrived, however, I was surprised with how small it really was – the size of my smaller puffy hearts! While it was adorable, I had envisioned something bigger, so I decided to make my own as well. I used my large polar bear cookie cutter (remember this guy? ), and I modified him several ways. I first smooshed his legs into a skinnier build, and then I tapped into his nose, pushing it from a point-shape to a bump-shape. (Don’t you love all these technical terms?!) Last, I used my Little Red Thing (aka. Citrus Peeler) to roll & tuck each little puff into the Sheeper’s coat. Perfect! 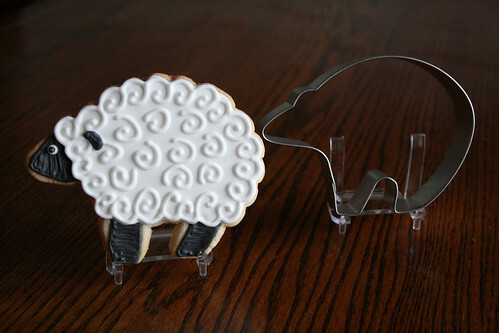 I don’t know if a large sheep cookie cutter exists out there, but I’ve decided I don’t need one anymore! He’s definitely my favorite part of these cookies, and I can’t wait until Stephanie arrives home & sees her cookies to tell me what she thinks! « Never-On-Time Series: Happy, Snowy Snowmen. the work looks so intricate and time consuming, but it really paid off, they look delicious! 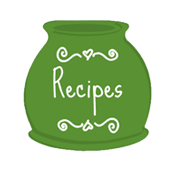 You are SO talented..would like notification regarding your new posts – thank U for SHARing your creations!